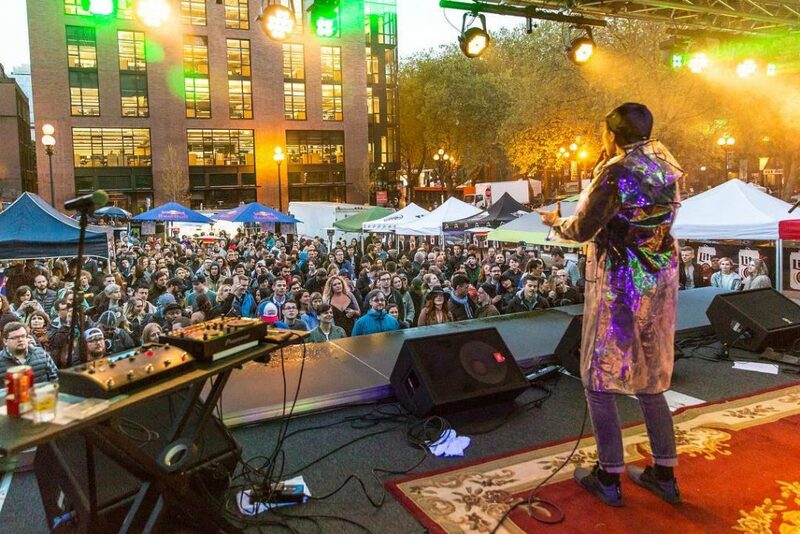 This three day music festival transforms Seattle’s historic arts and entertainment district, Pioneer Square, into a hub of creative energy. Held at 15 venues around Pioneer Square, Upstream Music Fest aims to bring attention to diverse, new talent from the Pacific Northwest. Some of this year’s most anticipated mainstage performers are Miguel, Little Dragon, Jawbreaker, Flaming Lips, and Cut Copy. Standard tickets range from $175 for all three days, to just $70 for a single day. L.A. born singer-songwriter Miguel incorporates R&B, funk, hip-hop, rock and electronic styles into his work, earning comparisons to Babyface and Prince. His last three studio albums–the last of which released in December 2017–have been met with widespread critical acclaim. The U.K.’s Q Magazine recently placed the Oklahoma-bred Flaming Lips on their list of the “50 Bands to See Before You Die.” While band-members have changed since the group first started out in 1985, they consistently deliver dark, elaborate energy to any stage they grace. Much to their surprise, under-the-radar Swedish electronic quartet Little Dragon received a Grammy nomination for best Dance/Electronic Album in 2014. While Aphex Twins took home the hardware for their album, Syro, the exposure turned Little Dragon into a household name. Jawbreaker is considered one of the most influential groups in the powerful late 90s Emo movement. They were most active between 1986 and 1996, but recently reunited, and began touring and creating again. Planning a visit to the Pacific Northwest? Learn more about our hotel here, so that you can experience Seattle for yourself!